Here is Part 1 of a collection of my “as it happened” reports of the James Ray manslaughter trial. I’ve gathered them from numerous blog posts I wrote as the trial unfolded, and collected them here, unrevised, for easier reference. Parts 1, 2 and 3 are all accessible at the side bar on the right, as is the “Trial Background” information page. The details of Ray’s behavior emerges gradually throughout the trial. Equally as revealing is the ruthless and cynical tactics of his defense attorneys, who openly attempt to pull the wheels off the legal process. No serious defense of Ray’s actions was ever mounted. This part covers the pretrial hearings where Ray’s attorneys, having spent the last year or more insisting that all of Ray’s prior events were safe and well run, now started arguing that all evidence from prior events must be excluded as they would be “prejudicial”. Preliminary hearings are currently underway in the trial of spiritual teacher James Arthur Ray’s trial for three counts of manslaughter. The trial is set to start in mid February 2011, and the current hearings are to determine whether or not the prosecution will be permitted to include damning evidence from previous sweat lodge events. Normally evidence of prior acts of a defendant would not be admitted, but prosecutors argue that Ray exhibited negligent and reckless behaviour in sweat lodges in previous years, and had ample warning that his practices were endangering the welfare of participants. They wish to present witnesses and photographic evidence of incidents that occurred in previous sweat lodges. “Clearly the answer is [that such evidence should not be allowed], because it is incumbent on the state of Arizona to prove Mr. Ray’s guilt beyond a reasonable doubt which existed in October 2009 and not simply that he’s a bad person because these people got sick,” [defense attorney] Kelly said. “People got sick” is of course a euphemism for “three people died and 19 were hospitalized”. Regardless of what the court decides, the evidence assembled by the prosecutors is clearly relevant to the question of Ray’s culpability. It will be of interest to anyone concerned with the question of Ray’s culpability. So here are the links to the original documents containing a good summary by state prosecutors. This doesn’t so much cover the fatal 2009 event, but the way the same event in previous years was run. See also the James Ray Trial page on this site. The prosecution decided against including any mention of incidents at non-sweat lodge events run by Ray. Sadly, this also means that the tragic death of Colleen Conaway at a James Ray event barely two months prior to Ray’s deadly sweat lodge will never be mentioned in a court of law. That will no doubt be a great relief not only to Ray, but also to the staff members (eg., Megan Fredrickson) who helped conceal the circumstances surrounding the death from police, and to hide the death from the other group participants. Witness Caren Wendt reports seeing no problems and being in no danger in the 2008 sweat lodge. Wendt compared Ray to a coach and said he wasn’t abusive in challenging participants to improve themselves. That is exactly the analogy the defense used in the White Papers. (They did not name any coach who caused three deaths and 19 hospitalizations in one training session, or why such a coach should not be charged.) But Ms Wendt seems to have more connections with Ray than communal stretching of analogies. So it looks like James Ray is Caren Wendt’s upline. Kinda innaresting. As the Droid asks, did she disclose her financial interests to the court? My question for the defense would be If there were no problems at the 2008 sweat lodge, why are you guys trying to get it excluded from the evidence? Here are two more important documents just uploaded by the Yavapai county site – scroll down, the Ray trial docs are in the middle. You can register there to receive updates, BTW. This is a list of exhibits that appear to my non-lawyerly eyes to have been ruled admissible evidence, overruling the objections of the defense. Further dates for the preliminary hearing are set for mid December, so I don’t know if the defense can lodge another objection. The evidence includes the all important photographs and witness testimony concerning earlier sweat lodges. Here is the prosecution’s summary of the crucial information which the defense has been trying to prevent from being heard in the trial. Reading through it, I can well understand why they don’t want these accounts to reach the jury’s ears. Ray appears to be even more negligent, dangerous and malignant than even my low estimate of him held. Brief summing up rant follows. The first post (16 Nov below) contains the background info. Further preliminary hearings have been set for December 21. This includes evidence suggesting that earlier events were highly dangerous with clear instances of medical emergencies: warnings that were ignored by Ray. In fact it seems transparently clear that Ray’s sweat lodges were deliberately designed to push people quite literally to their physical limits. When he saw people collapsing unconscious, convulsing, screaming that they were going to die, he acted aloof and went off and showered, exactly as was reported by multiple witnesses in 2009. Included are photos of people lying unconscious in the mud. The defense has claimed that changes were made in 2009 to make it safer, but adding canvas mats for people to collapse on instead of collapsing in the mud, and hoses and buckets to cool people’s cooked flesh, merely emphasizes that the sweat lodge was fully intended to physically overwhelm people. As mentioned earlier, the prosecution’s summary of their evidence for Ray’s negligent behaviour is compelling, and it is no wonder the defense has been trying to get it excluded from proceedings. The prosecution, however is also trying to prevent the defense from present specific evidence too. The defense claims that prosecutors are trying to smear Ray’s reputation and work, so they wish to reserve the right to call witnesses who will tell the jury that they were sexually abused as children, and nice Mr Ray helped them. The prosecution sees this as confusing for the jury, upsetting for the witnesses and irrelevant to the trial. Ray told people they would feel like their skin would burn off, that they would feel like they were “going to die”, but that they would “not die”. “If you pass out you will be cared for”. He told them that the warning signs for dehydration, heat stroke, and organ failure were actually good signs of the body “detoxifying” or entering an altered state of consciousness. They believed that the whole purpose of the lodge was to overcome their physical discomfort. The defense says Ray was “like a sport coach” in encouraging them to push on. That doesn’t change a thing. They believed they were safe, and assumed that ray had the expertise he claimed. They had also paid Ray a small fortune for the experience and wanted to get the full value for it. It was perfectly reasonable for them to believe they had Ray’s support; indeed, they had every right to demand it. For the defense to argue that they should have simply walked out is an open admission that the defense thinks the participants should not have believed Ray’s assurances that they were safe, nor expected the fulfillment of the services they had paid Ray for. Ray’s actions after the lodge include standing by while people are in severe medical distress, and leaving the scene to have a shower and a sandwich while three of his clients were receiving CPR. He later sent out an infamous email to followers declaring the entire event a “success” despite “some people having taken ill” – at a time when he knew two of the participants were dead. Jan 14 2011 Important decision reached by the court regarding evidence the defense has been trying to have excluded from the trial. 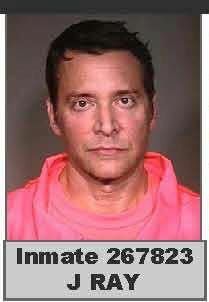 The court ruled in favor of the prosecution’s motion to compel disclosure of an audio recording of James Ray’s instructions to participants immediately prior to the deadly sweat lodge. See Jan 7 entry below for details. JRI must also turn over ALL audio recordings from the entire event. This must be a blow for the defense, who has been trying to exclude as much evidence as possible from the trial. The court also rejected the somewhat bizarre list of questions for potential jurors proposed by the defense. Proposed questions included requesting information about sporting experiences (a central pillar of the defense seems likely to be the idea that Ray was “like a sports coach encouraging participants” rather than like a guru who claimed spiritual authority), and also prepared jurors for the possibility that Ray may exercise his right not testify. Jan 27 2011 Lawyers for James Ray have just added a bit more to the list of things they are trying to have excluded from the trial. The prosecution plans to call well known cult expert Rick Ross, and Steven Pace, an expert on risk management for outdoor adventure courses, to testify as expert witnesses. The defense is objecting on the grounds that trial is not about whether Ray met normal corporate standards, (a term he has most likely never considered to be relevant to his “mission” to become the “world’s first billionaire guru”). Feb 4 2011 Just has just granted the defense’s motion to exclude mention of “prior acts”, i.e. sweat lodges from previous years which led to severe medical distress in dozens of participants. Here is the judge’s ruling, and here is some of the evidence that the jury will not be hearing. Before Ray was charged, the defense was explicitly referring to previous sweat lodges run by Ray and claiming they had been safe, and Ray had even added safety precautions over the years. However that was based on their own “investigations” (i.e., talking only with people already in Ray’s pocket). When the prosecution outlined the masses of evidence they had which showed repeated instances of people suffering severe medical distress from exposure to heat, the defense realized they would not win any arguments with their version of the “facts”. So they have managed to get it excluded on a legal technicality. As far as I’m concerned, that is an open admission that they know perfectly well that if the jury heard that evidence, they would convict him of three counts of manslaughter. Sadly, the judge has shown that victims of exploitative hoaxes like the one Ray continues to run, need expect no protection from the courts, no matter how many die. Ray and his team managed to cover up the death of participant Colleen Conaway barely two months before he caused three more deaths and put 20 people in hospital. If Ray gets away with this, he will be crowing that he has been vindicated by the court. In fact he just killed four people and now has improved his chances of getting away with it. Regardless of what happens, there are plenty who know exactly what this evil and deceitful man has done. And the evidence the state prosecutors have amassed is now in the public arena. Feb 7 2011 Here’s my take on Ray’s overall defense strategy. Feb 25 2011 The state has made its final submission regarding the imminent decision on admitting evidence relating to prior acts (see Feb 24 and earlier). The defense wishes to call Dr Ian Paul to give evidence that the victims may have died of organophosphate poisoning. The prosecution points out that no requests were made for coroners to test for this and no other evidence will be offered. The defense plans to have Dr Paul simply announce to the jury that he “cannot rule out” organophosphate poisoning. Of course, the defense wants the prosecution to be prevented from presenting the fact that previous sweat lodges were identical in all important ways and participants in the past suffered similar injuries to 2009 (bar the deaths). The defense is trying to pull a swift one on the jury. Expect plenty more such underhanded – though of course not illegal – tactics from the defense. Prior to entering the sweat lodge in 2009 the Defendant made repeated references to symptoms they [participants] would experience, leading participants to believe such symptoms were normal and safe. All of this information will be presented to the jury. [If prior acts are to be excluded] the one fact that would not be presented is that following previous sweat lodge ceremonies, some participants experienced vomiting, problems with balance, disorientation or incoherence, unresponsiveness, shaking violently or convulsions, and apparent loss of consciousness. Another important document. Essential reading. The state replies to the defense’s motion to exclude the audio recording of the entire 5 day event from the trial. As always, where the defense presents verbose, frivolous nitpicking over technicalities, the prosecution presents the facts and arguments that motivated them to press manslaughter charges in the first place. It describes many of the processes that Ray put participants through, including his insane six hour God Game which involved him playing God and ordering participants to “die”. Read the whole thing. It’s lays out Ray’s insidious methods. Ray’s defense team have no answer for any of this, so they’re objecting to it on technical grounds, trying to prevent the jury from hearing it. James Shore read his statement that first day of the event and the audio reflects his commitment to live his life as a Samurai warrior…to “live honorably on the path to enlightenment”The evidence at the trial will show that James Shore dragged an unconscious participant to the opening of the sweat lodge at the 7th round, saving her life, then returned to the back of the lodge and attempted to save the life of Kirby Brown. When he called out to Defendant that Kirby wasn’t breathing and needed to get out, the Defendant replied that it was too late, the door was closing and they needed to wait until the next round. Ray had lied to participants that they would be safe and that he knew what he was doing. Participants had paid $10 000 for his expertise and had been led to believe they need focus on nothing other than their determination to “play full on” as Ray continually told them. The defense will be arguing that James Shore should not have expected Ray to provide the services everyone had paid him for, nor should they have believed he had the expertise he claimed. March 1 2011 Awaiting the court’s decision on whether or not evidence from previous sweat lodges can be heard…. A couple of provisional decisions have already been made. The audio of the entire event will, with conditions applying, be allowed to be used substantially. Expert witness Rick Ross will be allowed to testify, again with conditions regarding the exact content of his testimony and some remaining questions about his qualifications. This is classical James Arthur Ray: plain stupid, and coming from someone who lied about virtually every aspect of his training and experience, and who recklessly caused four deaths inside of two months, it demonstrates the cause of the problem. That he keeps spewing out this kind of nonsense shows the extent to which he is in denial about his own situation, and to which he is indifferent to the pain, suffering and damage he has caused. It also demonstrates his dedication to grooming further victims. Incidentally you can also follow me on twitter, but all I ever do on there is tell Mr Ray to shut up. March 3 2011 Evidence regarding earlier sweat lodges will be allowed under certain conditions. Admissibility will be decided case by case, so to speak. That means that Ray’s serial recklessness during previous groups and sweat lodges will be included to a considerable degree, as evidence. I’ll post more about the trial as it unfolds – bit hard to stay current from here in Germany. Excellent up to date blog coverage on Salty Droid’s James Ray Trial Updates page, with extensive background info. Here’s my take on Ray’s overall defense strategy: James Ray’s Defense: Nothing But Objections. See also the James Ray Trial – Background page on this site. Reporter Elizabeth Erwin is covering the proceedings on twitter. Live coverage here.